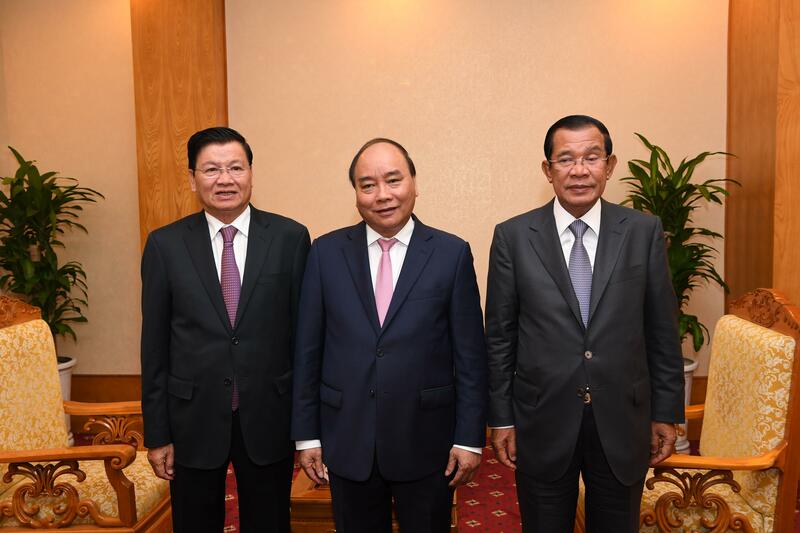 Phnom Penh (FN), Sept. 13 - Cambodian Prime Minister Hun Sen, Prime Minister of Vietnam Nguyen Xuan Phuc, and Prime Minister of the Lao People's Democratic Republic Thongloun Sisoulith, discussed the solidarity and cooperation of the three countries during the World Economic Forum on ASEAN, held from 11 to 13 September 2018 under the theme of "ASEAN 4.0: Entrepreneurship and the Fourth Industrial Revolution". 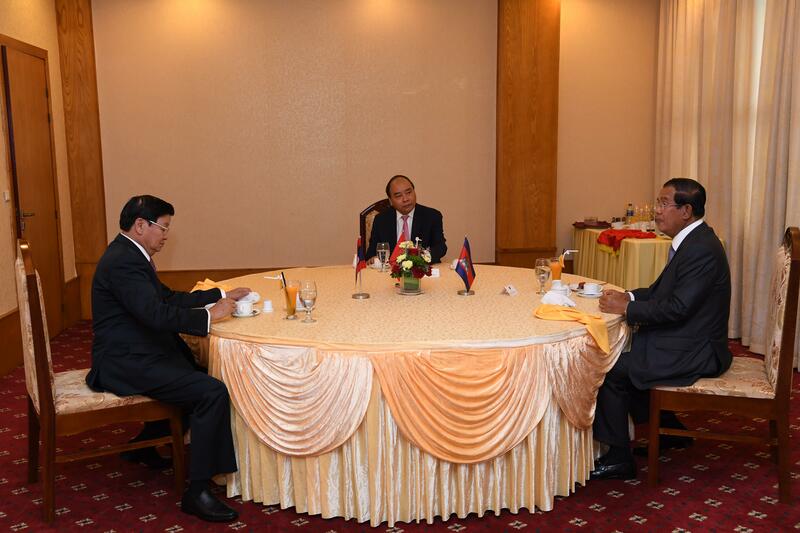 The three sides have discussed thoroughly the joint efforts to address challenges to ensure peace, stability, and development. 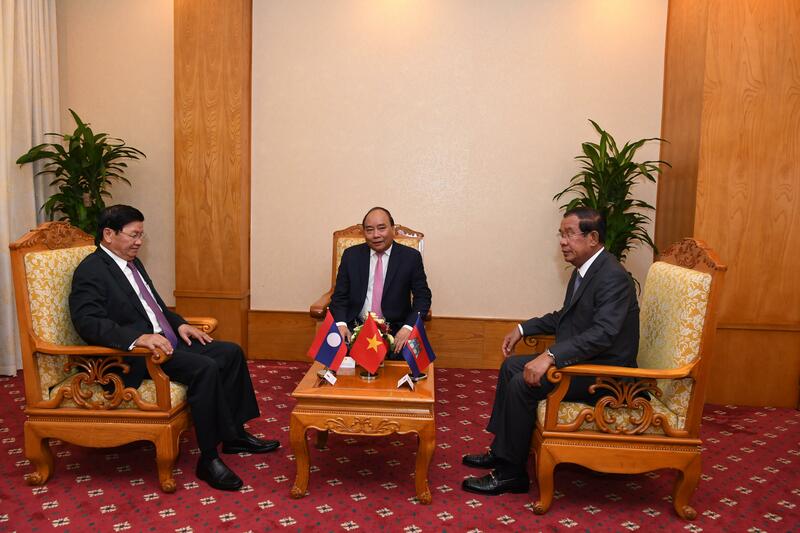 They discussed mainly on infrastructure connectivity projects, gap reduction, and trade and economic development at the least-developed Triangle Area. The trio will propose to development partners to expand budget and aids for the Area.